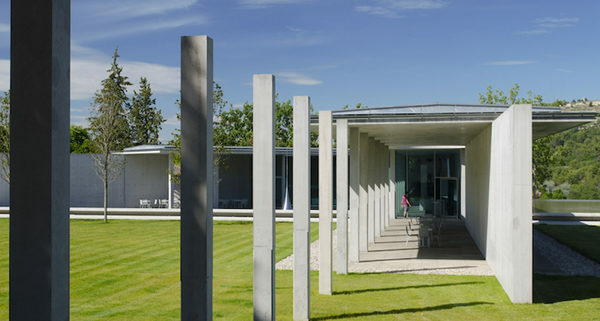 Tadao Ando conceived the Art Centre for Château La Coste. The building adopts many of the Japanese master’s signature elements to create an extraordinary experience of light and space in nature. A vast infinity pool of water hides an underground car park and provides a spectacular stage for an upper level that is laid out on a V-shaped plan. Flanked by entire elevations of glass, one wing of this ‘V’ houses our welcome desk and bookshop, while the other wing includes a restaurant which overlooks the water and vines.